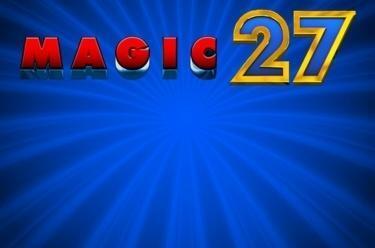 Play Magic 27™ online for free now! This fruit cocktail has the sweetest winnings for you: Get loads of Twists and one of many great mystery wins for your player account with Magic 27™! 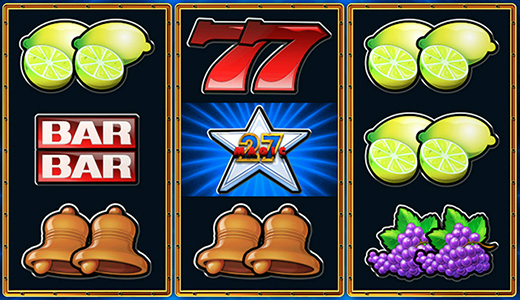 In this classic slot machine, lots of fresh fruit dance across 3 reels - thanks to All-Pay you only need 3 of the same fruits on each reel to win! What is All-Pay? With All-Pay, there are no fixed predetermined win lines, you win when you land 3 identical symbols on each reel and one of those symbols is found on each of the reels. The Joker replaces any symbol in the game, and, if necessary, supplements your winning combinations. 3 ‘Magic27’ Stars (or even less in combination with the Joker symbol) trigger a mystery win. Here you can win any amount by stopping the highlighted bar with the start button on one of the selection positions.